The lanterns are lining the street, restaurants are fully booked for reunion dinner reservations and spring cleaning at home is (almost) in full swing. Yes, it’s that time of the year again when buying everything new is an actual need. Every Chinese New Year calls for the new, and we don’t just mean festive outfits. Get prepped and polished for a prosperous Year of the Pig ahead with these limited-edition beauty collections. 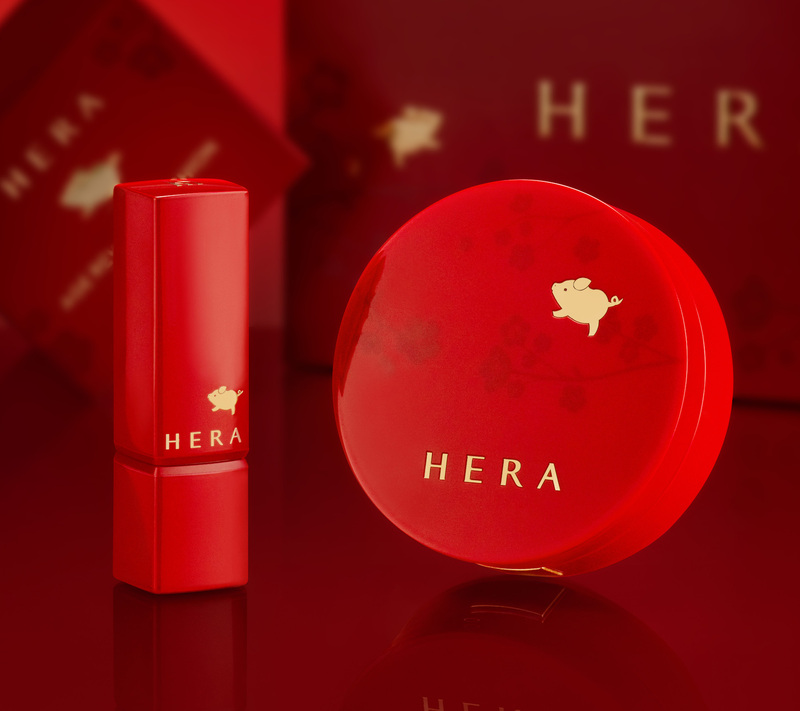 Hera’s Chinese New Year collection is aptly named ‘Golden Pig’. Coated in bright red, the products feature a gilded pig flying among blooming peach blossoms — a symbol of of prosperity, good wealth and prosperity. The collection is a festive rework of Hera’s bestsellers, including the Age Reverse Cushion and the Rouge Holic Shine that’s available in celebratory scarlet shades of Secret Burgundy and One Perfect Red. Give your pesky relatives less of a reason to gossip by rolling up to reunion dinner with polished skin courtesy of Clarins. 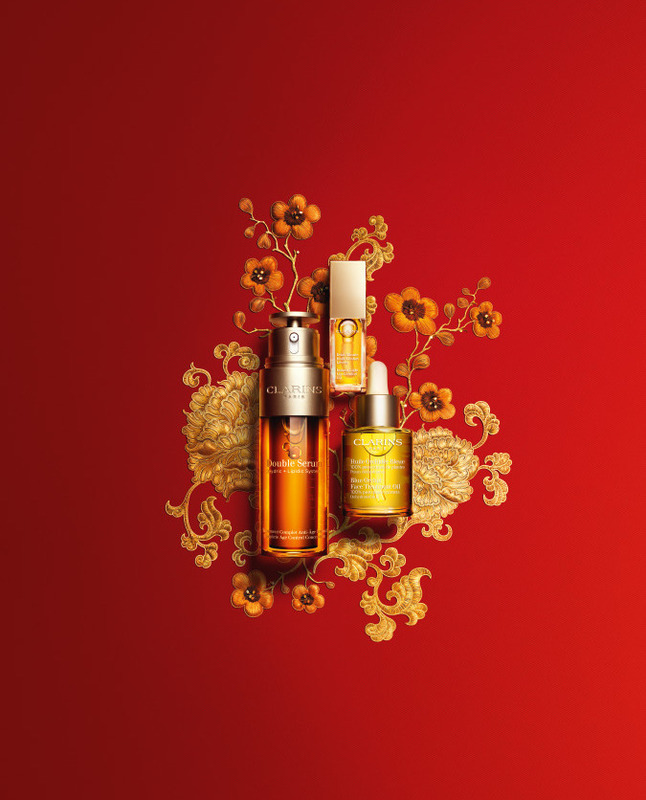 The French luxury skincare brand has relaunched a trio of iconic bestsellers especially for Chinese New Year. Fight signs of fatigue with the Clarins Double Serum that contains 21 active plant extracts with anti-aging and antioxidant properties. Those with dehydrated skin will favour the Blue Orchid Face Treatment Oil. It’s made from 100 per cent pure plant extracts to rebalance skin, preventing moisture loss and treating fine lines. Last in the collection is the Light Lip comfort oil, which features jojoba as the main ingredient to moisture lips without leaving them greasy. All that merrymaking and feasting in the festive season may take a toll on your skin. Fight it with Pitera goodness, a proprietary ingredient from SK-II. The bestselling Facial Treatment Essence gets a Chinese New Year makeover in a striking shade of red accompanied by a swirl around the bottle, symbolising the pig, the auspicious Chinese zodiac for the coming Chinese New Year. Infuse hope, fortune and prosperity into your makeup routine with YSL Beauté’s Touche Eclat Le Cushion Collector. An homage to M. Saint Laurent’s 1977 iconic couture masterpiece China collection, the cushion collector links style, dynasty and a celebration of empowered women. The imperial blue case is a gorgeous addition to your vanity too as it is engraved with a dragon’s scale pattern. 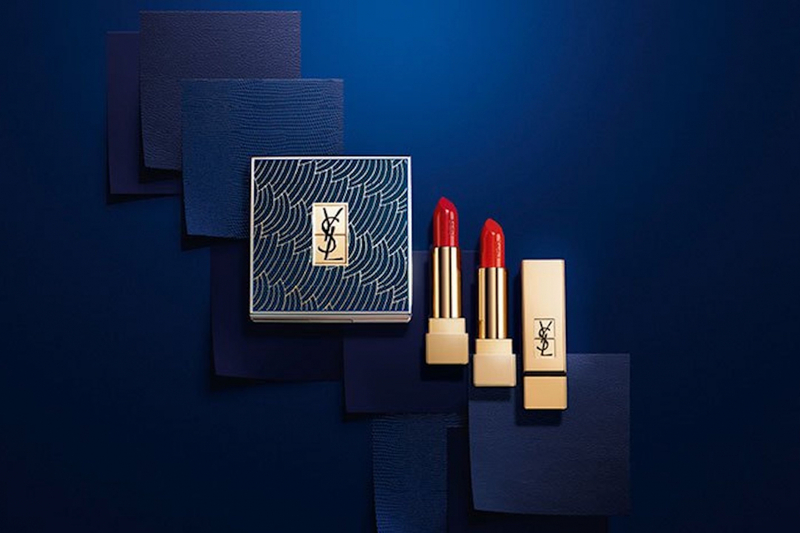 Available exclusively at the YSL Takashimaya S.C. Store. 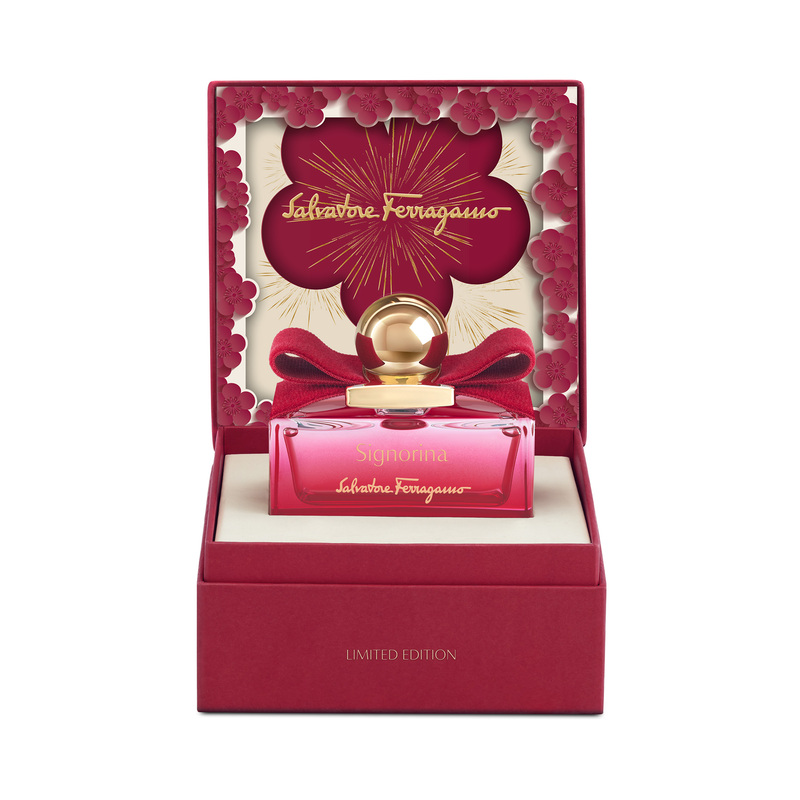 The classic Signorina Eau de Parfum gets dressed in red for Chinese New Year. While the bottle retains its original design, it’s now comes in eye-catching vinyl red with a gradient, and the iconic Vara bow is replaced with red velvet. As for its scent, the fragrance opens up with a fiery mix of pink pepper and red currant, fades to a floral heart of rose, peony and jasmine before it settles into a creamy base of musk, patchouli and panna cotta. 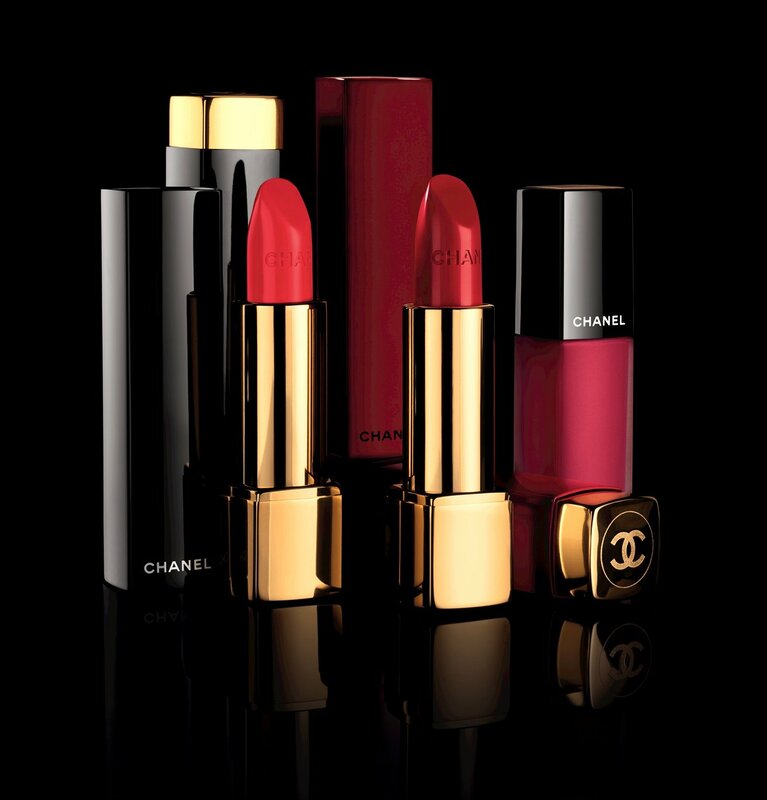 Just in time for Chinese New Year and Valentine’s Day, Chanel has launched its first online beauty store with limited-edition online exclusives, complimentary gift wrapping, samples and local delivery. For this Chinese New Year, look out for the special launch of Rouge Allure N°8, which is a satiny red shade infused with gold sparkles in a collectable red case.